Your ID badge is something you need to protect, and wear with pride. It’s often a forced part of your attire, but it needn’t be. If you enjoy expressing yourself in your work attire, why not try a customized lanyard? Make it feel more a part of your style rather than a mandatory obligation. Getting your own lanyard or reel can make your ID far safer, and it’s less likely to be lost or forgotten. 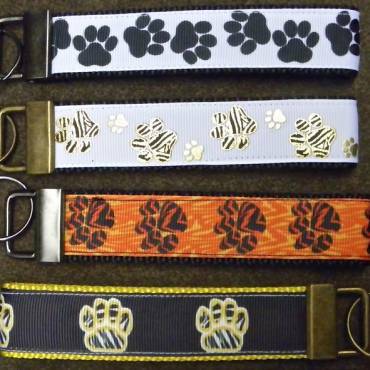 Options include retractable and standard, leather, non-ferrous, different widths, patterns, and awareness badges. A retractable reel is an awesome device if you find yourself frequently having to remove your ID for security viewing. 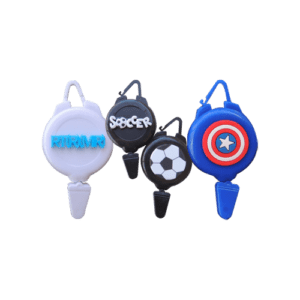 Retractable reels work smoothly and effectively allowing someone to view your ID without it needing to be removed, since the retractable string can easily be pulled out, and springs back again on release. Retractable reels are available with lots of fun embellishments in a multitude of colors. 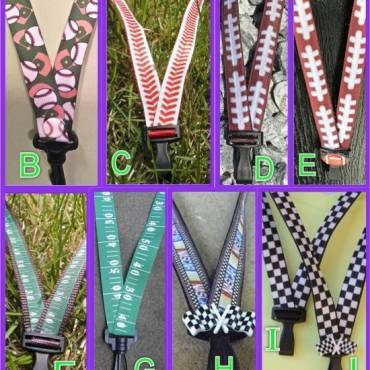 The most fun thing about a customized lanyard design is choosing your own customized color-coordinated straps. You might want to choose a different strap for each day of the week, a different strap to match your mood or a different strap to match your outfit. 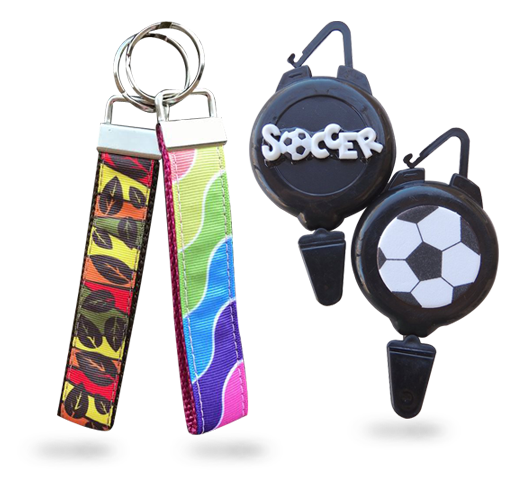 Customized lanyards also make a great gift for co-workers, fun, and inexpensive for improving office cheer. You can choose a design that suits your co-worker’s mood, hobbies, or style. Choosing a simple customized gift like a lanyard that one needs every day shows you care, and understand your co-worker, and you know it will be used. Christmas Lanyards are a lot of fun. Have some fun with superhero logos, holiday themes, and hobby or sports themes. 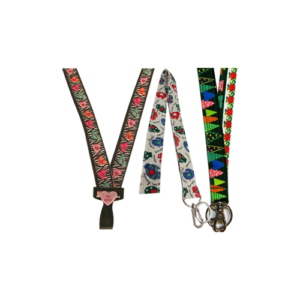 Cheer yourself up by wearing a brightly colored smiley lanyard, or feel soothed with floral or paisley prints. Or, clip on an awareness badge to help promote your cause to all those around you. Awareness badges for lanyards can show your support for causes like cancer, organ donor, or pet rescue awareness, and many more. A leather cover makes an attractive and long-lasting addition to your lanyard, protecting your ID and making a statement of care and class. A leather cover can make an attractive attachment to your handbag or luggage. If you regularly need to go through a security check-point that screens for metal, a lanyard design that doesn’t need to be removed is the perfect solution. Metal-free lanyard designs are also MRI friendly and suitable for use in environments where metal is not permitted. 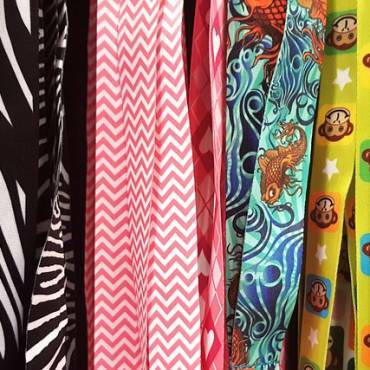 Metal-free lanyards are also hypoallergenic and will not cause skin irritations in those with sensitive skin. They will not bend or rust and cause damage to your clothes in moist environments. Finally, a benefit of getting your own customized lanyard is that you can ensure quality. Those provided by the company are often cheaply mass produced, and likely to fail at an inconvenient time, potentially resulting in losing your ID or license which is incredibly inconvenient and usually costly. 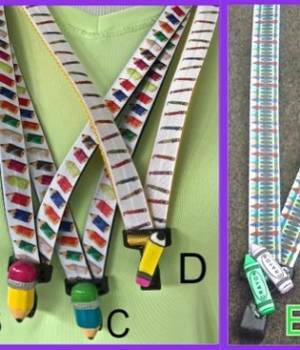 If your company doesn’t issue a uniform standard ID holder which is compulsory, find some time to search for an awesome set of color-coordinated lanyards to bring some cheer into your work environment.